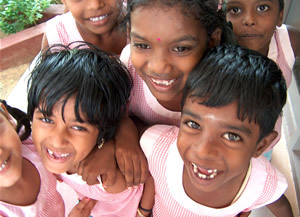 "Every child is a potential genius "
At the Primrose School of Pondicherry and the school Shikshayatan of Arasavanagkadu, Tamil Nadu the future education is in development. By implementing the Glenn Doman method each child is experiencing the joy of learning and self-discovery, because nothing will be put in his or her way. Children like to help each other learn and have no knowledge of competition. By connecting to their innate curiosity, the toddlers already want to learn to read and count at age of 2. 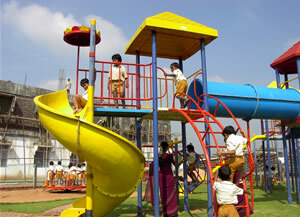 From the age of 4 lessons are intensively taught through computers. 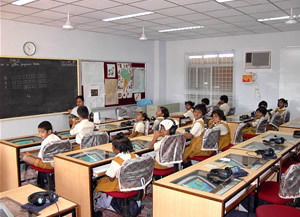 The teacher-student ratio starts at 1:4 or 1:5 in the lowest grades en rises to 1:15 in the higher grades ( where a 1:70 ratio is not uncommon in India). 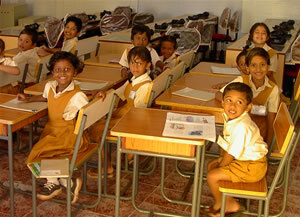 The foundation supports the schools through donations for extending the schools and lesson materials. A few articles worth reading about this educational method (Glenn Doman method) are found through the links below.